Father of William Gittins Fearnhead, Chairman of Horwich Urban District Council 1924-25, 1930-31 and grandfather of Leslie George Fearnhead, Chairman of Horwich Urban District Council 1970-71. He moved to Horwich in 1888. 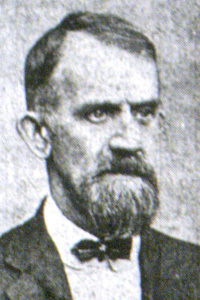 He was elected to the Council in 1895 and served for 22 years. First Labour member of Horwich UDC. Chairman of the Sanitary Committee. Chairman of the Horwich and Westhoughton Hospital Committee, as well as an being an Overseer for the Horwich District. Member of the Local Services Tribunal. President of Horwich Cooperative Society.